The City Museum is now housed in the prominent Yellow House on the “Hafenmarkt” Square. 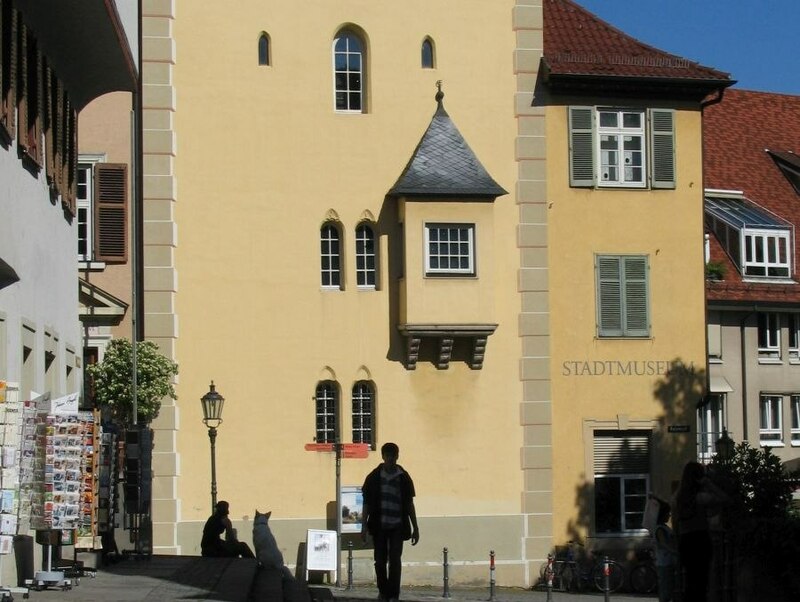 The central building with its added oriel originates from the Stauffer period and is therefore the only completely preserved residential tower from the 13th century. The protection offered by such massive stone towers was obvious: the entrance was often several metres above ground level. In the event of turmoil the steps or ladder were taken away and the inhabitants were safe. Families also liked to flaunt their wealth with the height of such towers. In the 14th century the uncomfortable towers went out of fashion and were partly pulled down or converted. The City Museum possesses impressive exhibits throughout the long history of the Imperial City up to the time of the industrial metropolis.